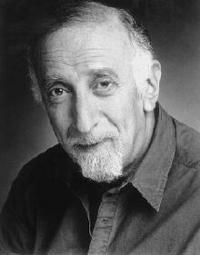 Tony Jay (February 2, 1933 – August 13, 2006) was the voice actor forMegaVolt and Lord Dregg in the 1987 TV series during its final seasons. He is best known as the voice of Judge Claude Frollo in Walt Disney Pictures’The Hunchback of Notre Dame and as the virus Megabyte in ReBoot. Jay was a devotee of classic Broadway, and made several recordings and performances of old-time Broadway lyrics, in spoken-word form. A CD of these readings, Speaking of Broadway, was released in 2005; a version recorded years earlier of the same collection was titled Poets on Broadway, as is his website. It features Jay reciting lyrics written by the likes of Noel Coward, Ira Gershwin, and Oscar Hammerstein, and was composed entirely by him, according to the CD liner notes. Jay appeared on-screen in several movies and on television, including Love and Death, Twins, Night Court and Eerie, Indiana. He also developed a career in the theatre, in plays such as The Life and Adventures of Nicholas Nickleby, Great Expectations, and The Merchant of Venice. Jay’s other non-animation roles included Paracelsus on the 1987 CBS series Beauty and the Beast; Minister Campio on Star Trek: The Next Generation; and Lex Luthor’s villainous aide-de-camp Nigel St. John in Lois & Clark: The New Adventures of Superman. He was also well known for his role as the voice of the virus Megabyte in the award-winning 3-D animated series ReBoot, and for his voice work as Judge Claude Frollo in Disney’s The Hunchback of Notre Dame and in the Walt Disney World version of the nighttime light and fireworks show Fantasmic!. He also voiced Monsieur D’Arque, the amoral asylum superintendent, in Disney’s Beauty and the Beast. He is also well-known among Legacy of Kain fans for his voicing of the original Mortanius and of the Elder God, alongside several other minor characters. He was also the successor of George Sanders in the role of Shere Khan the tiger as he voiced the character in Tale Spin and reprised his role of the character for fifteen years after it ended until his death. The Jungle Book 2 was his final reprisal of the role. Jay was born in London, England in 1933. He attended Pinner County Grammar School. He moved to South Africa in 1966 and was involved with many radio productions on the SABC Commercial Radio Service, Springbok Radio, until 1980. He later moved to the United States, and became a naturalized citizen. He was Jewish. In April 2006 he underwent surgery in Cedars-Sinai Hospital in Los Angeles to remove a non-cancerous tumor from his lungs. He never recovered fully from the operation and was in critical condition throughout the following months, until his death at the hospital on August 13, 2006, at the age of 73. He is interred at Forest Lawn – Hollywood Hills Cemetery. Jay was survived by his wife Marta and his son Adam.